Dive deep in laughter with our third edition of Comedy Under the Stars. 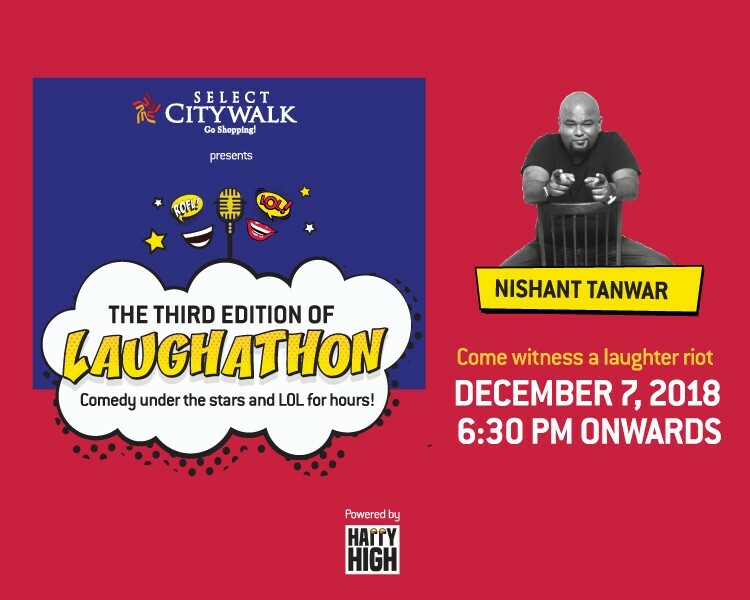 Select CITYWALK presents you ‘Laughathon’ where you get the chance to witness the live comedy by the prominent comedian – Nishant Tanwar. So get ready with your friends and family and become the part of this comedy riot on December 7, 2018, from 6.30pm onwards.